First Command says servicemembers are recovering from months of financial anxiety caused by sequestration and the government shutdown. 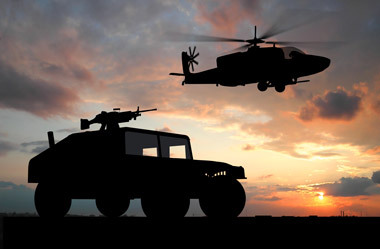 After several months of financial anxiety while issues like sequestration and the government shutdown remained top of mind, military investors ended 2013 feeling more optimistic, according to the First Command Financial Behaviors Index. The index measures trends in financial behaviors with a baseline of 100. A higher score on the index indicates more positive financial behaviors. Military families earned a score of 118 on the index, up 17 points from the first quarter of 2013. This is the third consecutive increase and the highest quarterly finish for military families in more than a year. The score for the civilian population increased as well, but to a smaller degree. First Command noted the civilian score fluctuated throughout 2013, finally settling at 95, up nine points from the first quarter. For the fourth quarter, the index found just over a third of civilian respondents felt financially secure, compared with 43% of military respondents. Military respondents were more optimistic in general (45% versus 29%), and more confident about their retirement prospects (38% versus 33%). Scott Spiker, CEO of First Command Financial Services Inc., said military respondents’ higher levels of optimism and confidence are the result of better financial habits. Military respondents saved on average $500 more than civilian respondents every month, according to the index. They also put about $280 more than their civilian counterparts toward paying down short-term debt. First Command expects these behaviors to continue. A subindex that measures respondents’ financial intentions increased 11 points for military families with a matching decrease for civilian respondents. Check out JPMorgan to Invest $1M in Veteran Education on ThinkAdvisor.